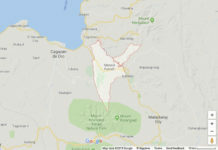 KIDAPAWAN CITY (MindaNews/11 August) – Six persons including a government militiaman suspected of doing small-scale mining operations in Arakan, North Cotabato were arrested in a raid around 2 pm Friday, a police officer said. 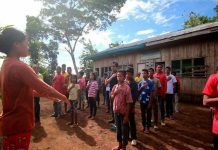 Senior Inspector Jun Napat, chief of the Arakan municipal police station, identified the Citizens Armed Force Geographical Unit member as Salas Sicutan Sabawan from Barangay Lanao Kuran, Arakan. The other suspects are Sabawan’s nephew Michael Sabawan, Remy Imbal Ambis of Barangay Lanao Kuran, Philip Estrella Villarosa of Barangay Buklad, Asuncion, Davao del Norte, Ronald Segovia Rico of Purok 13-A, Barangay San Miguel, Tagum City, and Michael Albaran Denaque of Barangay Indangan, Buhangin, Davao City. Napat said Sabawan hired the other suspects as workers to dig and haul ore at his small-scale mining site. Police allegedly recovered from the mining site an M16 rifle, an M14 rifle, two air guns, and two improvised marble rifles locally known as “jolen gun”. They also seized two shovels, a hoe, a hammer, two sledge hammers, six improvised chisels or moil tools; a 10-round bar, and five sacks of ore.
Sabawan refused to give the names of the supposed buyers of the gold ore.
Napat said Sabawan’s small-scale mining activity was reported to them by a concerned citizen. 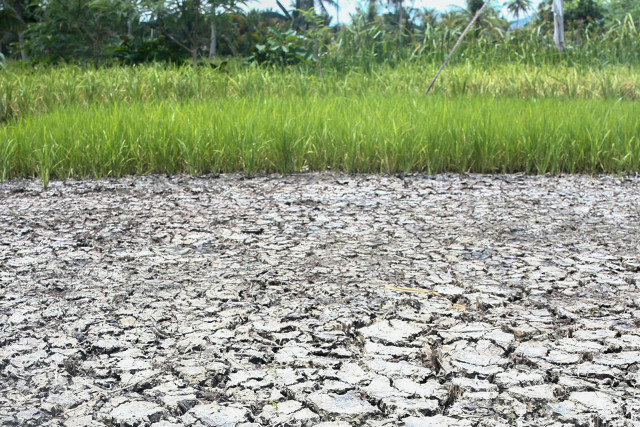 The police official said he then contacted municipal environment officer April Jay Tuble and Carlo Tenado from the Provincial Environment and Natural Resources Office, and asked for backup from the 19th Infantry Battalion. Around 2 pm on Friday, Napat’s team arrived at the place and caught Sabawan and his workers hauling gold ore.
Tuble said the mining site is about 60 kilometers away from the town center.